Wireless handsets with inductive charging and lithium-ion batteries allow you to roam freely onboard and keep watch on vital communications. 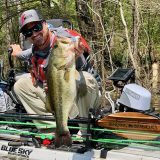 WILSONVILLE, OR (August 15, 2018) – Traditional marine VHF radios keep you confined to the helm with their short handset coil-cords that limit your ability to move about. 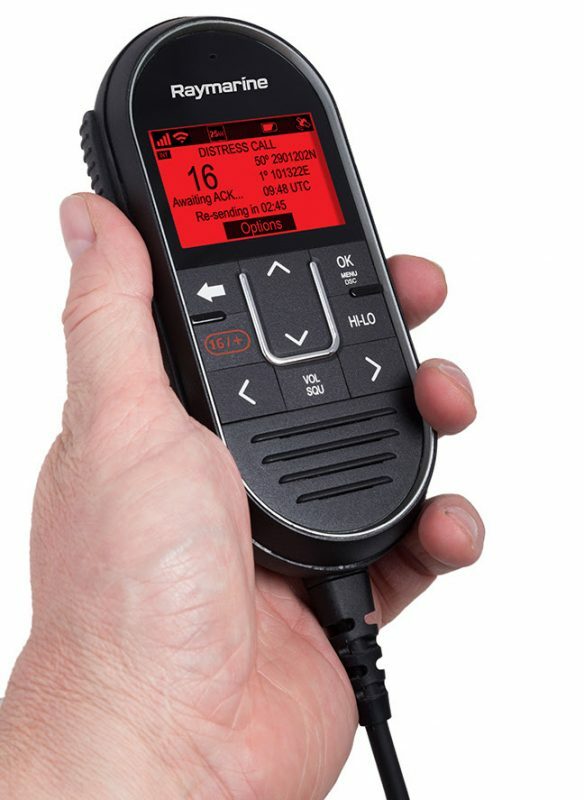 Raymarine’s new Ray90 and Ray91 modular VHF radios give you the freedom to roam and communicate from anywhere onboard using optional wireless handset stations. The versatile Ray90 and Ray91 modular radios offer you the convenience of having two wired handsets and three optional wireless handset stations. 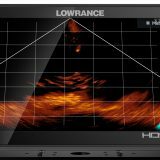 Wired or wireless, you’ll have full access and control of every feature these high-performance VHF radios have to offer. An oversized LCD display and simple button control provide easy access to all of the Ray90/91’s features from any station. 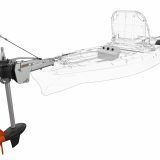 Both models feature a powerful, commercial-grade marine VHF radio transceiver with the latest Class-D Digital Selective Calling for convenience and safety. The Ray90 and Ray91 are also equipped with a built-in loudhailer and fog-signal generator that can be easily activated by adding an optional hailing horn accessory. 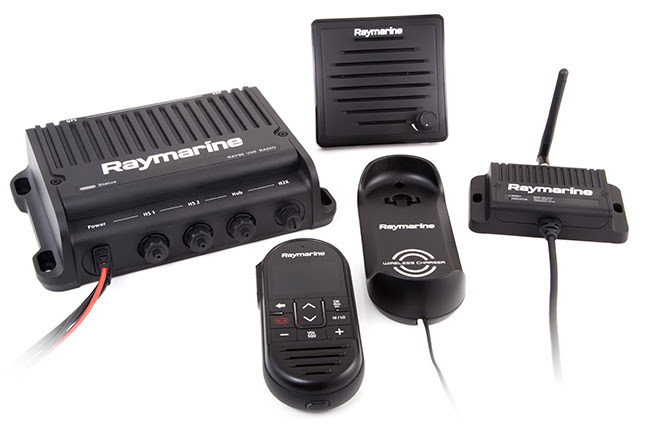 In addition to ship-to-shore and ship-to-ship calling, the Ray90/91 offer onboard intercom communications. Use the radio’s intercom feature to make internal calls from station to station. The Ray 91 model also has a built-in Class B AIS receiver. Connect the Ray91 to your multifunction display and instrument network to see the position and identity of nearby AIS-equipped vessels. 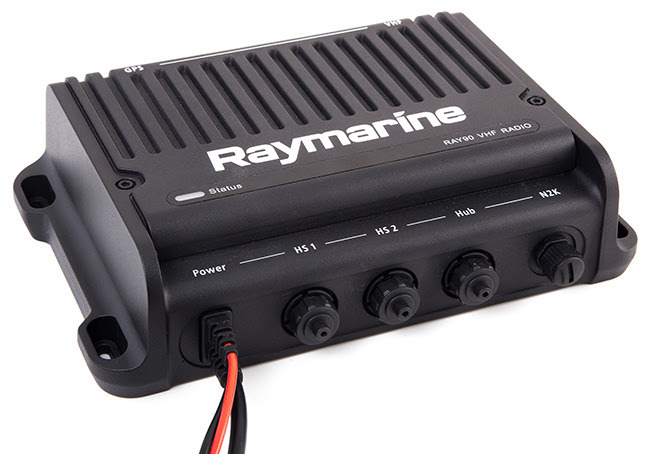 Ray90/91’s black box transceiver module hides out-of-sight keeping your boat looking ship-shape. Wireless handsets are powered by built-in lithium ion rechargeable batteries for long life. The wireless handsets use the latest inductive charging technology. Simply place the handset back in its supplied dock; there are no charging ports, contacts, or cables to worry about! Each wireless handset even has a convenient locator alarm to help you find it should you misplace it onboard. Simply trigger the handset finder from any other station and your lost device will cry-out to be found. The modular Ray90/91 VHF system consists of a transceiver module and 1 wired handset/speaker station. Expand your system with an additional wired station, a wireless hub, and up to 3 wireless handset and speaker stations. 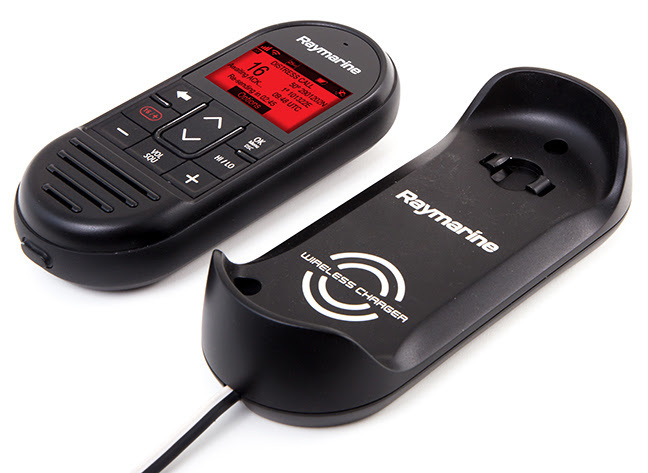 Compliant with the latest regulations for DSC-equipped radios, both Ray90 and Ray91 have an onboard GPS receiver and a connection for an external GPS antenna. The radios can communicate with your other onboard multifunction displays and instruments using industry-standard NMEA2000 or NMEA0183 networking.